Today, Adobe pushed an update to Lightroom on Android, bringing with it raw image support while on mobile. That means importing directly from your camera, editing, sharing, etc. in a way you would from your computer. In order to get your raw files over to Lightroom, Adobe recommends a on-the-go (OTG) cable or device, like the one we showed you yesterday from Amazon. Once camera and phone have been connected, you can transfer the raw files in PTP mode by selecting each within Lightroom. 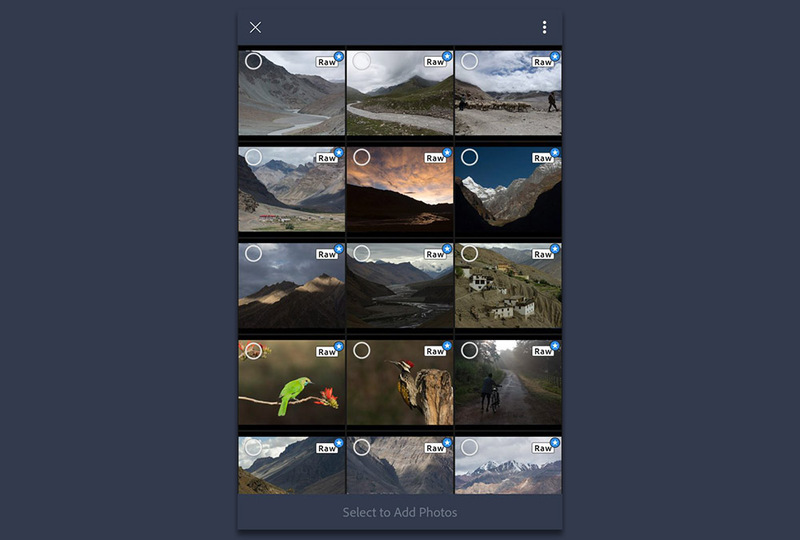 Users can capture, edit, and share raw photos, in full resolution, and have access to them wherever there are in the world. Lightroom for Android now supports all of the same raw files that Lightroom for desktop as well as Adobe Camera Raw support. Users get all of the benefits of raw, such as the ability to change the white balance, being able to recover blown out highlights, access to the full range of color information, as well as editing an uncompressed file, all using the exact same technology that powers Lightroom on the desktop. The raw files that users import into Lightroom for Android will be synced with Lightroom on their other devices, such as Lightroom for desktop or Lightroom on the web. The update appears to be live right now. Samsung Galaxy Beta Program Nougat Update Sign-Up is Live!